The Notre Dame Apartments, located in the historic Florence neighborhood of Omaha, Nebraska, is a unique affordable senior housing (55 and older) project. The Notre Dame Apartments project involved the renovation of 32 existing Historic Tax Credit units and the creation of 30 new Section 42 Low Income Housing Tax Credit (“LIHTC”) units inside the historic Notre Dame Sisters’ Convent building, which formerly served as the Notre Dame Academy. Funding for this redevelopment project included Historic Tax Credits, LIHTCs, 1602 Funds, TCAP Funds and the Federal Home Loan Bank’s Affordable Housing Program (FHLB) funds. The Notre Dame Sisters are also financing a portion of this project. US Bank and Access Bank are the lending institutions involved with the financing of the $10 million dollar renovation. Because of the financing that was utilized, CSDLLC was able to maintain current rents for this project. 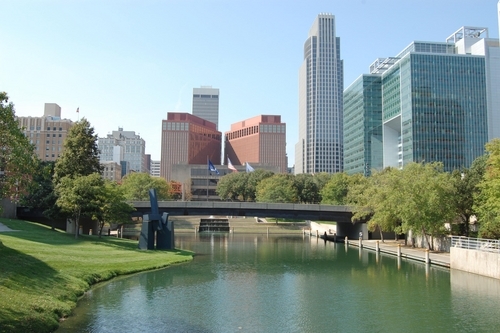 Central States Development is an innovative developer of affordable housing opportunities in Nebraska, Kansas, Colorado and Iowa. Our team is dedicated to developing resourceful and complicated deals. This site includes information about the different projects that we have completed and projects that are currently under construction.